Do you remember my video on the amazing watercolor wash technique using a ziplock baggie? If you haven't seen it yet, you can view it HERE. Well today, I am showcasing another card for you using that amazing technique! 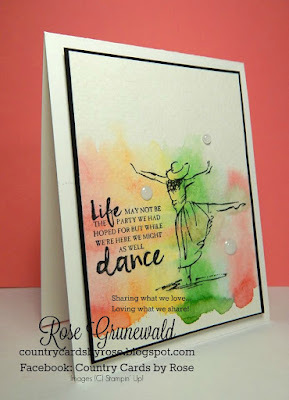 My friend Kelly made this card, and I just HAD to share it with you because this card is so pretty! I've even got a step by step tutorial for you so you can make it at home! Yay! Wowsers! Don't you just love this card???? Ok...gather your supplies! Watercolor Paper - 4 ⅞” x 3 ⅝"
Lay the ziplock bag over the Watercolor layer and color vertical lines with the Flirty Flamingo, Daffodil Delight, Wild Wasabi and Flirty Flamingo (again) Markers in a row. This allows you to use the ziplock bag as a template to position your marker coloring. Apply a generous amount of water with the Aqua Painter to the Watercolor Paper layer. Place the ziplock bag on the wet Watercolor Paper and squish it around just a little bit to blend the colors. Remove ziplock and allow paper to dry completely. Stamp greeting and image with Tuxedo Black Memento ink where shown. Add White Perfect Accents where desired. Adhere stamped layer to Basic Black layer with Multipurpose Liquid Glue. 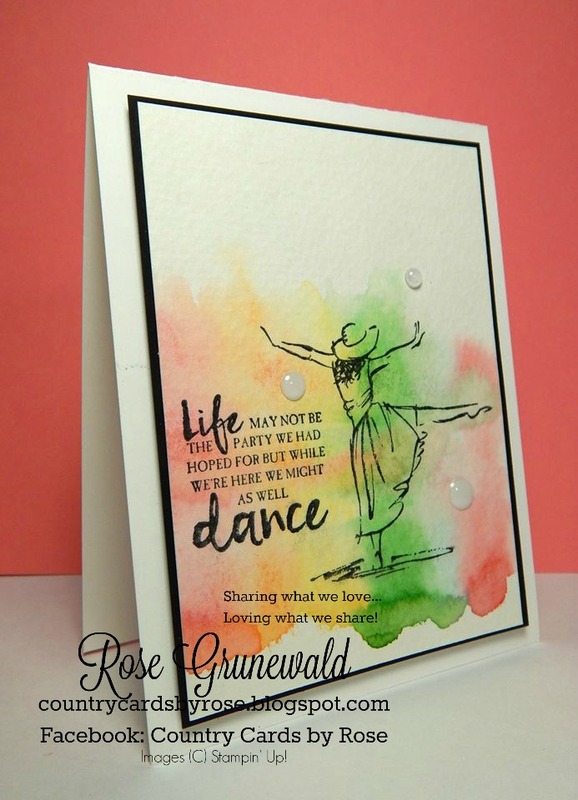 Then adhere to card front with Stampin’ Dimensionals. I so love the baggie technique! 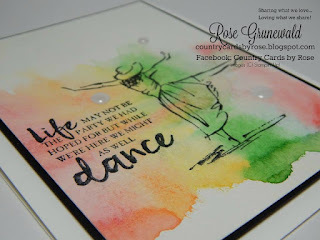 What a simple way to add a gorgeous pop of color to your projects! If you would like to purchase the supplies used to make this card, I would love it if you bought them from my store! Your support means so much to me, and it helps me to be able to keep bringing you all these fun projects!